Tory peer Baroness Trumpington has passed away aged 96. Here, Picador Non-Fiction Editorial Director Georgina Morley pays tribute to a remarkable woman. 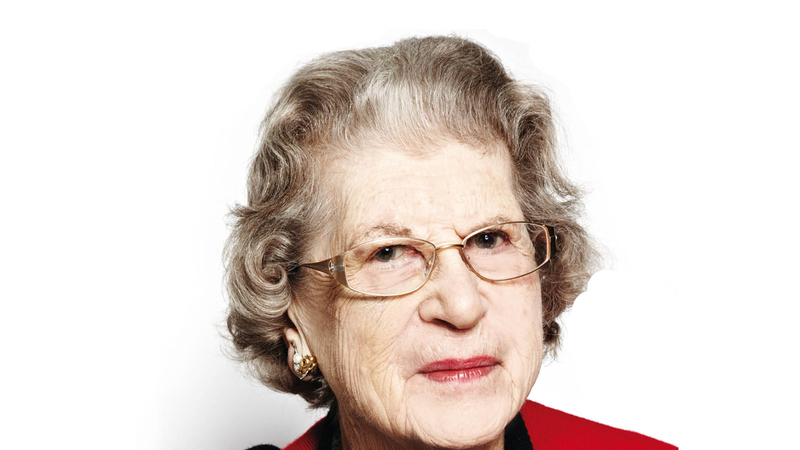 Following the sad passing of Baroness Trumpington, Picador Non-Fiction Editorial Director Georgina Morley remembers her unforgettable time working on her memoir. When the news of the death of Baroness Trumpington was announced, I was reminded – yet again – what a thrill working with her on her memoir, Coming Up Trumps, had been. Our first meeting was not propitious – not least because she stood me up. I sat at the appointed restaurant, then forlornly returned to the office and with some trepidation picked up the phone. ‘Oh god,’ she boomed in that marvellously forthright voice, ‘I grovel.’ I had made the rookie error of leaving a message on her answerphone to confirm. I later learned she made a point of not listening to answerphone messages. We re-arranged and the glorious whirlwind that was Jean Trumpington blew into a restaurant on Lower Sloane Street. ‘Is that white wine?’ she said, pointing at my glass of sparkling water. ‘No, but we can get some.’ ‘Thank god for that.’ We were off. Many letters later, and following discussions with her business manager, aka her son, Adam Barker, we embarked on one of the most rewarding projects I’ve ever worked on. Everything about Baroness Trumpington was a joy – even her famously impatient responses to anything she considered idiotic. Life dealt her some cruel blows – notably her beloved husband’s appalling stroke and early death – but she was the life of all and any party, concealing her grit and bravery beneath the laughter and the love of a really good Bloody Mary and a good cigar. I adored her. Everyone at Pan Macmillan is immensely saddened by her passing, but how lucky we were to have known her.